So it comes as no surprise that I am in love with the Space NK Candle Collection. Each candle in this collection smells absolutely fantastic and burns for hours and hours without ever seeming to quit. 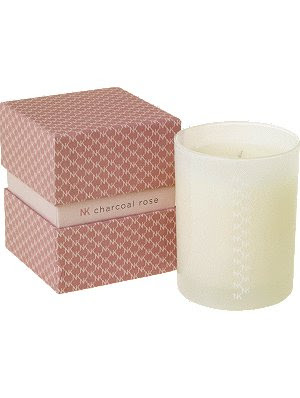 And now one reader has the chance to win the Space NK Charcoal Rose Candle, valued at $45 -- perfect for winter with its noes of black roses, blush pink peppercorns and the essence of pine smoke. Simply enter your name and email address in the box below. The winner will be selected on Friday, March 5 and notified by email. It's that simple! This giveaway is open to US residents only. Giveaway runs until Thursday, March 4 at midnight. One entry per person, email address and IP address. Multiple entries will be disqualified. Nice candle collection. I will buy this Space NK Charcoal Rose Candles for my birthday.